Simon & Schuster, 9781501164583, 256pp. Peter Mallouk is the president of Creative Planning, Inc. Peter was chosen as the #1 Independent Financial Advisor in America for three straight years (2013–2015) by Barron’s and was selected as one of Worth Magazine’s Power 100 (2017, 2018), a list featuring the 100 most powerful people in global finance. In 2017, Peter was a recipient of the Ernst & Young Entrepreneur of the Year Award. CNBC named his company, Creative Planning, the #1 Independent Wealth Management Firm in the United States (2015). In 2017, Barron’s named Creative Planning the #1 Independent Wealth Management Firm in America. 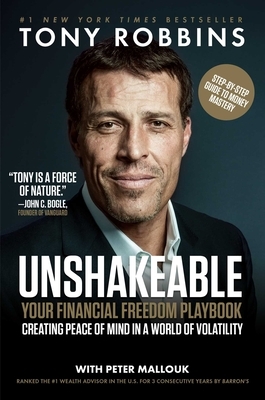 He co-authored Unshakeable with Tony Robbins. He lives in Kansas City, MO.